Another coach is gone from Big Brother 14 and this is possibly one of the most heated evictions. For the majority of the game, this houseguest had (somewhat) masterfully manipulated the players but in a shocking turn-of-events, he was blindsided. Unfortunately, he was one eviction away and will not be a part of the Big Brother 14 jury. A double-eviction means that two houseguests were eliminated in the same night. This player was the first to go and another newbie was evicted afterwards (post to follow). The next person to be evicted is Boogie, the 41 year old Restaurant Owner from Los Angeles, California. 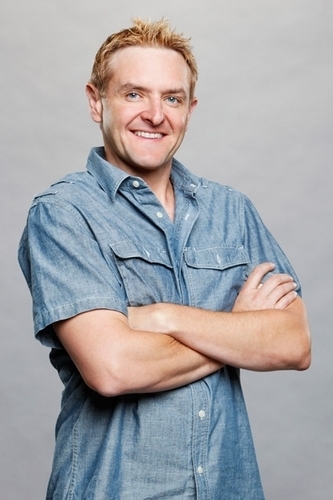 Mike "Boogie" is the second member and co-founder of the infamous Chilltown alliance from Big Brother 2. Before he returned to season 14 as a coach, he also competed and won Big Brother All-Stars against former coach Janelle. On Day 1, Boogie entered as a coach and selected Frank, Ian and Jenn to join his team. While as a coach, Boogie won the first coaches' challenge and saved Ian from eviction. None of his teammates were evicted before the season reset (which he voted not to return), even though Frank was continuously a target. Following Wil's eviction, Shane (Head of Household) nominated both Boogie and Frank for eviction. Frank won Power of Veto (POV) and Jenn was forced as a nominee against Boogie. On Day 48, Boogie was evicted by a vote of 5-2. Boogie is possibly (one of) the most ruthless players in the history of Big Brother. He makes decisions to turn the tables against his enemies and manipulates situations to band the floaters to his plan. However, Big Brother 14 was the first time he was faced with a situation he never encountered: playing the game without Dr. Will. The reason that the Dr. Will/Boogie duo works so well is because both play a different yet cohesive game. Boogie is ruthless yet Will is cold and calculating - they depend on each other to bounce ideas and manipulate the house. Boogie's partnership with Frank was different. Boogie took the leadership role (the brain) while Frank was the enforcer (the muscle). Instead of playing mind games like the original Chilltown, Boogie/Frank resorted to an aggressive tactic when the duo was nominated. Unfortunately for them, it wasn't successful and resulted in Boogie's eviction. Similar to Janelle's eviction, this season saw a new change in Boogie. He still was the same annoying mastermind that he was but things were a tad different. Instead of constantly questioning the motives of his alliances and itching to make the first strike, he placed his trust in the wrong people. He didn't expect that his alliance would turn on him and that his own former teammate had helped to orchestrate his demise. Near the end, he played sloppy and forgot his own Chilltown rules to play the game. Boogie was in a tight spot. He competed for and lost the POV so without any real power, he couldn't save himself. Once Jenn was placed on the block, it solidified his eviction. A lot of "What If?" scenarios can be thrown out and the biggest would have been if Boogie/Frank had turned on Dan early on. The duo got too comfortable and never expected to be blindsided the following week. The only way Boogie could have stayed would have been if he had attacked first. Therefore what exactly Big Idea Mastermind team? Is it doesn't speediest means for an individual to reach their particular goals having lowest errors. For many people is it doesn't solely way to achieve their particular genuine potential throughout lifetime.